Ooty is a popular destination for most tourists. A picturesque hill station situated in the Nilgiri Hills, Ooty is known for its scenic lakes, gardens, and greenery. Popularly known as the ‘Switzerland of India’, it is situated in the Nilgiri Biosphere Reserve and is home to many attractions of historical significance. One of the most popular summer destinations of the country, Ooty has many exciting facets to explore. We’ve got your trip covered with this handy guide. Read ahead to know how to make the best of your holiday with places to visit and things to do in Ooty. This quaint botanical garden, located on the lower slope of the peak Doddabetta, was established in the year 1848. The original intent was to promote the study of the variety of flora around the Nilgiris. It is home to rare tree species like the monkey puzzle tree, cork tree, and paperbark tree. The Gardens house close to a thousand species of indigenous and exotic botanical wonders – plants, shrubs, bonsai plants, herbs. At the centre of the Ooty Botanical Gardens lies a 20-million-year-old fossilized tree trunk, a wonder in itself. Each May, a flower show is conducted for two days at the Gardens, with major attractions like the Japanese flower arrangement, flower rangoli, and vegetable carving. Ooty Lake is one of the most famous artificial lakes built in India, built by John Sullivan, the then collector of Coimbatore in 1824. This lake covers an area of 65 acres and is one of the most iconic places to visit in Ooty. The Tamil Nadu Tourism Department introduced boating facilities at the lake after taking possession in 1973 in a bid to increase tourist footfall. The lake’s boathouse is well-known. You could choose to go rowing or boating on the pedal boats or enjoy a motor boat ride. Every May, boat races are organised as a part of the Ooty Summer Festival. The toy train and mini-amusement park next to the lake are major attractions as well. Set among eucalyptus trees, with one bank housing a railway line, Ooty Lake is the stuff of dreams. 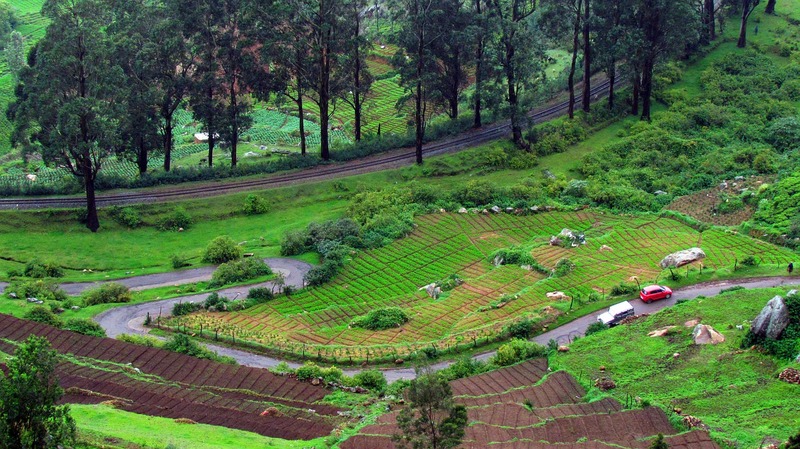 Of all the places to visit in Ooty, this is one you shouldn’t miss. Pykara is a river about 19 kilometres from Ooty. It flows through dams like Glenmorgan, Pykara, and Murkurti, forming a vital part of the hydroelectric power project of Tamil Nadu. The two major waterfalls the river flows over are 55 metres and 61 metres high, with layers upon layers of the rocky bed that gives it a scenic quality unlike any other. Visiting Pykara Falls is one of the most exciting things to do at Ooty. A constant in travel packages at all Ooty resorts, Pykara Falls are popular with nature lovers and couples on their honeymoons. Mudumalai National Park and Wildlife Sanctuary is situated on the Karnataka-Kerala border. This national park comes under the Nilgiri Biosphere Reserve and is divided into five ranges. There is a huge variety of flora and fauna for you to marvel at. Mudumalai is a declared tiger reserve and is also home to leopards, deer, white-rumped vultures, mynas, and parakeets. Ooty is famous for its Kebab Corner and Ooty chocolates, which are so delicious you will buy them in plenty. You can also enjoy delicious South Indian food anywhere in Ooty. Read the Club Mahindra reviews on the website to discover specific restaurants you can visit during your stay. By air: The nearest airport is Coimbatore International Airport, a 2.5-hour drive from Ooty, well-connected to major Indian cities. You can also take a flight from Bangalore (295 kilometres from Ooty). Upon reaching the airport, you can take a taxi or bus to reach Ooty. By rail: Ooty has its own railway station connected to major cities of Tamil Nadu. Located on the New Delhi-Coimbatore railway line, it is linked to several major Indian cities. By road: Ooty is linked to various cities in the state through Tamil Nadu State Road Transport Corporation (TNSRTC) and private travel services. Being a major tourist attraction, both government and luxury buses from Bangalore, Mysore, and Chennai are available. 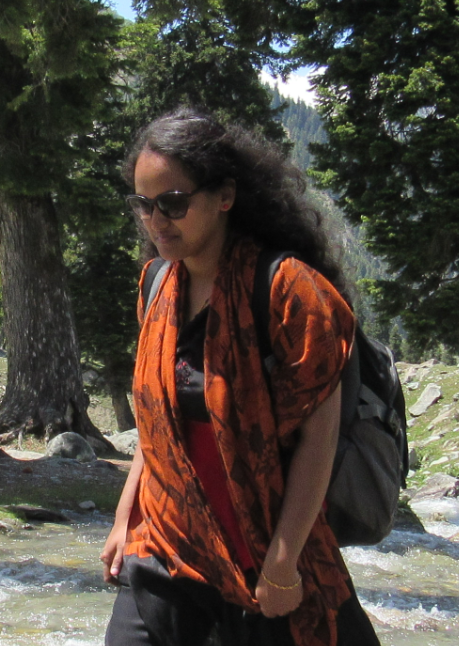 The Queen of Hill Stations makes for quite a memorable holiday. While here, choose to stay at the Club Mahindra Ooty resorts, considered amongst the best Ooty resorts, for a truly unforgettable experience. The resorts offer you the opportunity to relish the peace and quiet of Ooty along with modern comforts rooms, spas, pools, and gyms. The in-house restaurants will elevate your experience where you can savour various local cuisines with your family. With a Club Mahindra membership, one can avail special packages and other privileges. Combining Ooty’s rustic charm and top-of-the-line amenities is Club Mahindra’s unique premise. So sign up for a Club Mahindra membership today to make sure your next trip to Ooty and many other amazing holiday destinations is as enchanting as ever. Also, read through these Club Mahindra reviews & get a sneak peek of what members have to say about these resorts in Ooty.